This is the tiny Bahamas Out Island that inspired Hemingway to write The Old Man and The Sea, as well as Islands in The Stream. Getting to Bimini is convenient with 25 minute flights from Fort Lauderdale, Florida along with flights out of regional airports throughout Broward and Miami-Dade Counties. 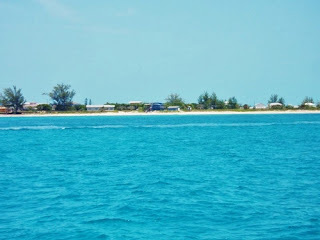 Bimini is located at the west end of the Bahamas Bank, and the shallow waters to the North, South and East are only 20-30 feet deep. In contrast, the water depth to the West between Bimini and Miami is over 6,000 feet deep. 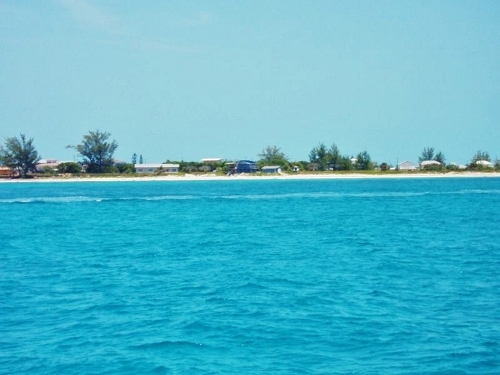 The featured island property is Bimini Bay Resort which boasts the largest marina in the Bahamas, and attracts yachting and sport fishing enthusiasts from around the globe. Bimini Bay Resort & Marina features a combination of 374 Caribbean hotel rooms, suites and luxury villas, and features three restaurants restaurants, including its signature establishment, Sabor. Accommodations offer oversized couches, granite countertops, porcelain stove-tops, coffee and coffee makers, refrigerators, microwaves, iron and ironing board, extra linens, and televisions. Washer and dryers are available in multi-bedroom suites and villas. Resort amenities include Fisherman’s Village open-air shopping center, full concierge services, “Beach Bums” children’s activity center, two outdoor pools, fitness center, massage services, Wi-Fi throughout the entire resort and marina, meeting facilities, business center, tennis center and even a grocery store. Guests also have access to other activities, including world-class fishing, scuba diving, snorkeling with dolphins and sharks, boat tours and other marine excursions.